2 Bdrm Upper Self-contained flat. V/bule. Hall. Lounge. Kitch. 2 Bdrms. Bathrm (CT Band - B). Garden. Price over £115,000 Entry by arr. Viewing contact solicitors. (EPC band - E). Self-contained upper flat: Vestibule. Hall. Lounge. Kitchen. 2 Bedrooms. Bathroom. Gas central heating. Double glazing. Garden. 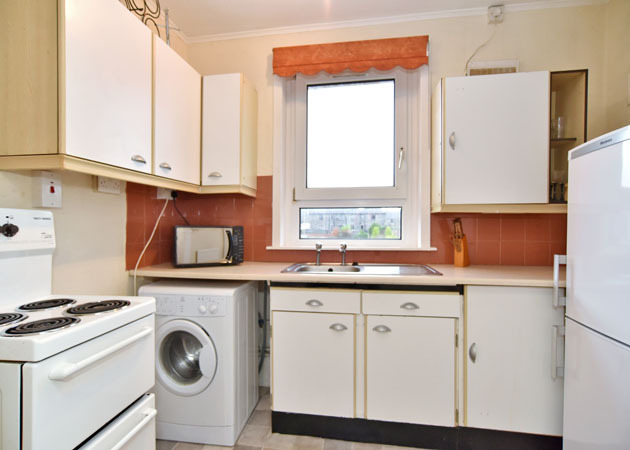 We are delighted to offer for sale, this self-contained upper two bedroom flat which forms part of a detached 4-flatted block. Located in a quiet residential area of Hilton and close to the main ring road at Anderson Drive. 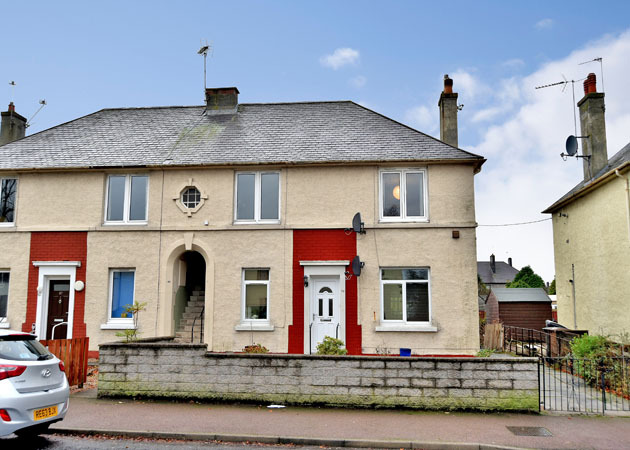 The property enjoys the benefits from gas central heating and upvc double glazing. 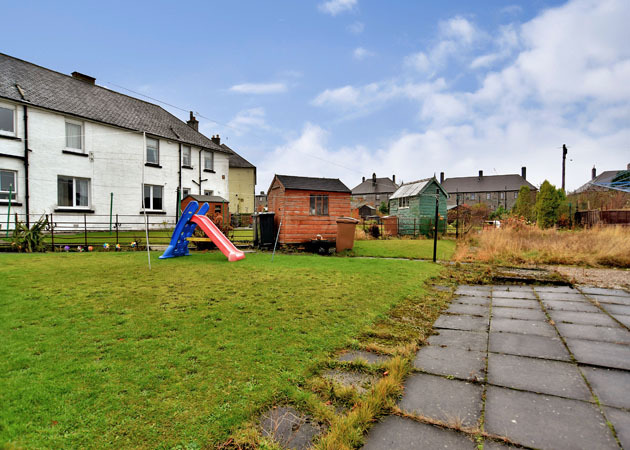 The property would appeal to a buy to rent investor, and would also be an excellent first time buy. 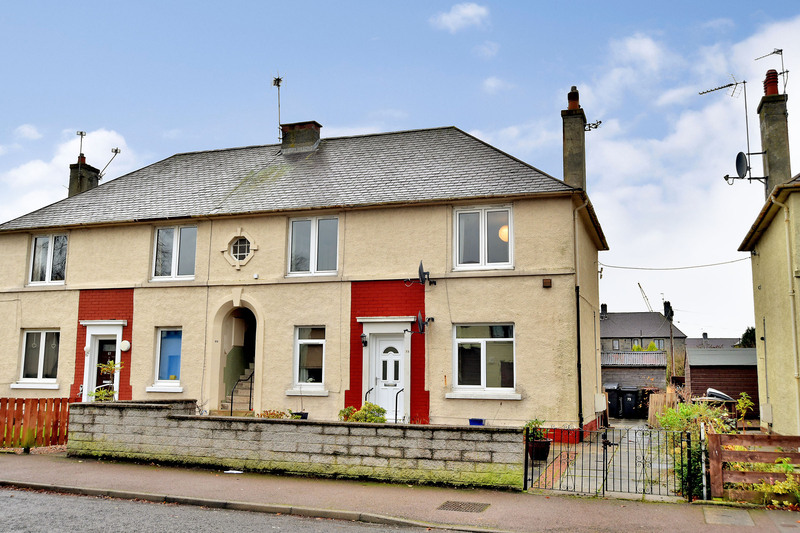 Location: Middlefield Terrace is situated in a quiet location, the Hilton area is well served by local shops and public transport facilities and with Aberdeen Ring Road situated nearby. 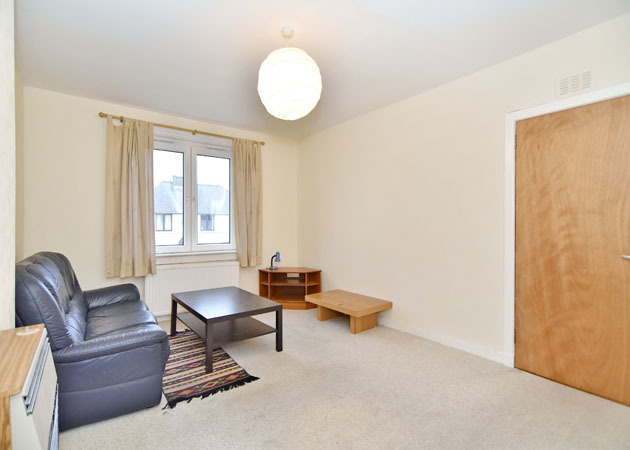 Most parts of the city are readably accessible with the location being particularly convenient for Forresterhill Hospital, Cornhill Hospital or the University of Aberdeen. Relatively easy access is also available for Aberdeen Airport and the oil related offices at both Bridge of Don and Dyce. Directions: Head north on Anderson Drive taking the first exit on the right, just after the roundabout at Provost Rust Drive, into Hilton Road. Middlefield Terrace is the first opening on the left and No.71 is situated on the left. Entrance Vestibule: Entry property via hardwood front door to vestibule. Wall mounted coat hooks. Part glazed door to hallway. Hallway: 2.26 x 0.97m (approx.) 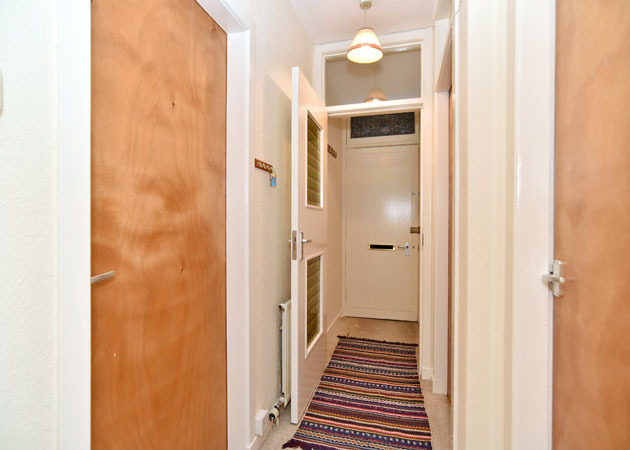 Hallway leads to the accommodation. Smoke alarm. Carpets. Lounge: 4.77 x 3.52m (approx.) 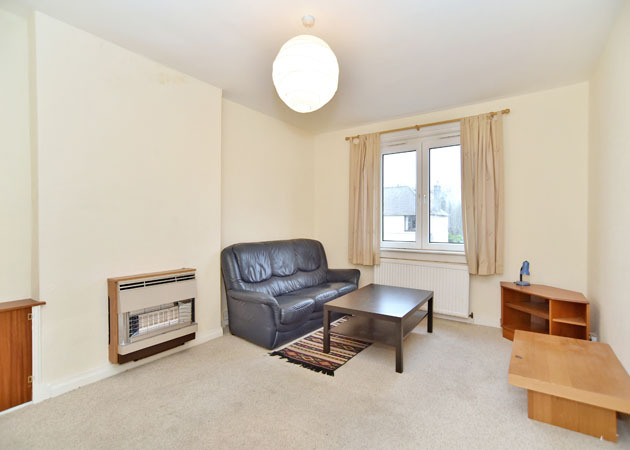 Well-proportioned and spacious lounge with twin windows to the front of property. Wall mounted gas fire with alcoves either side. Half sized cupboard in one alcove. TV, phone and sky points. Carpets. 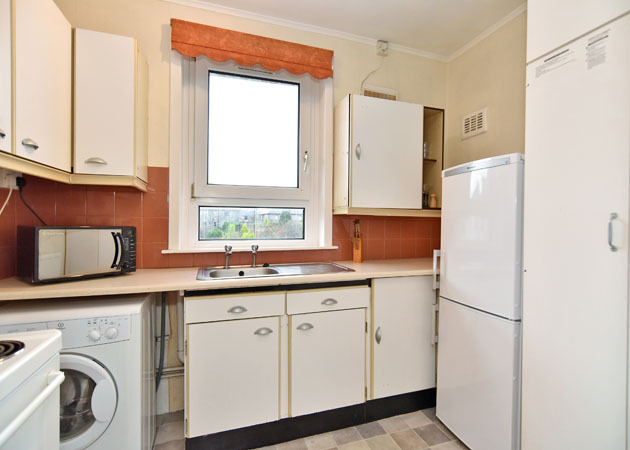 Kitchen: 3.06 x 1.96m (approx.) Enter the fitted kitchen from the lounge. Ample base and wall units. Worktop with tiled splash backs. Stainless steel sink and drainer. 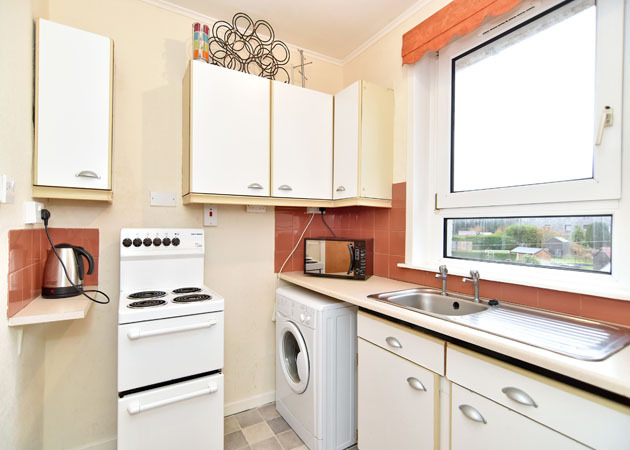 Appliances included in the sale are, freestanding cooker, washing machine and fridge freezer. Cupboard housing hot & cold water tanks. Window with outlook over rear garden. 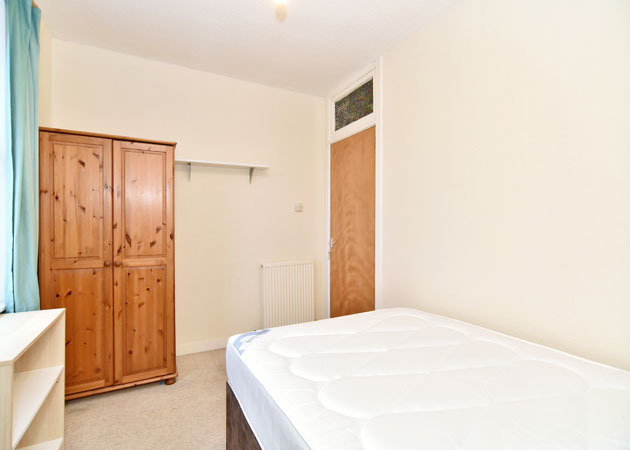 Double Bedroom 1: 4.03 x 3.14m (approx.) 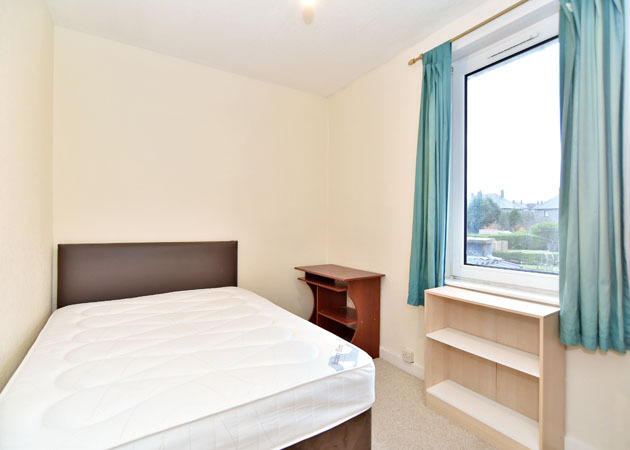 Well-proportioned double bedroom with twin windows with outlook over front garden. Fitted carpets. 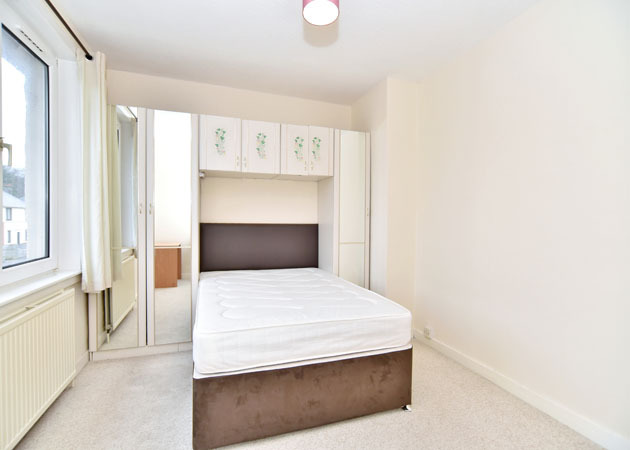 Double Bedroom 2: 3.41 x 2.55m (approx.) 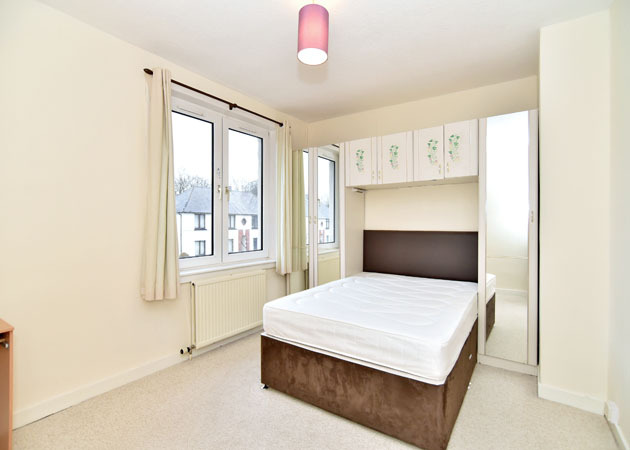 A second good sized bedroom with outlook over rear garden. Fitted carpets. 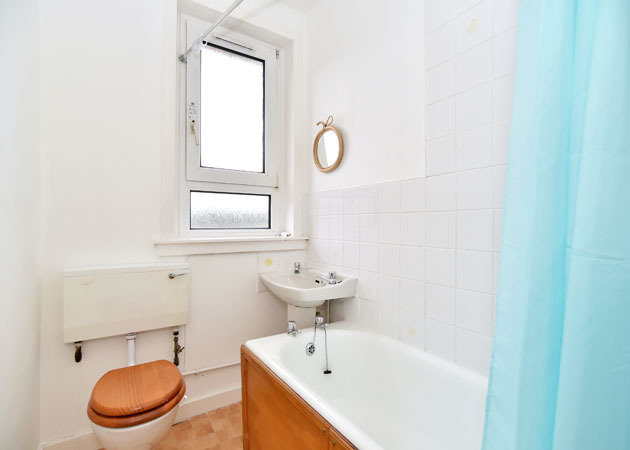 Bathroom: Fitted with a white three piece suite consisting W.C., wash hand basin and bathe with electric shower over. Walls tiled around shower. Opaque window to the rear. Vinyl flooring. 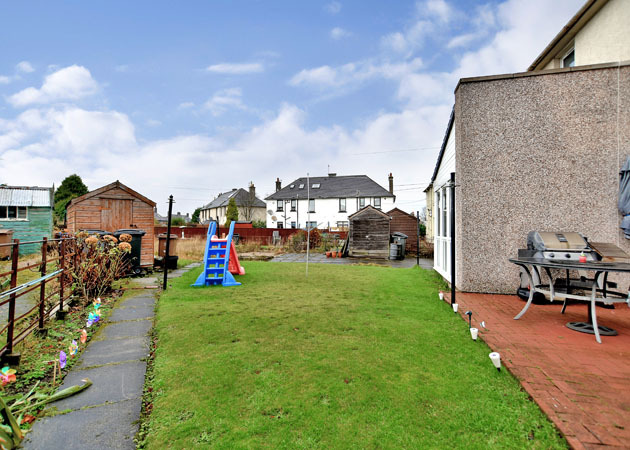 Outside: Shared rear garden with an exclusive area pertaining to the property. On street parking.